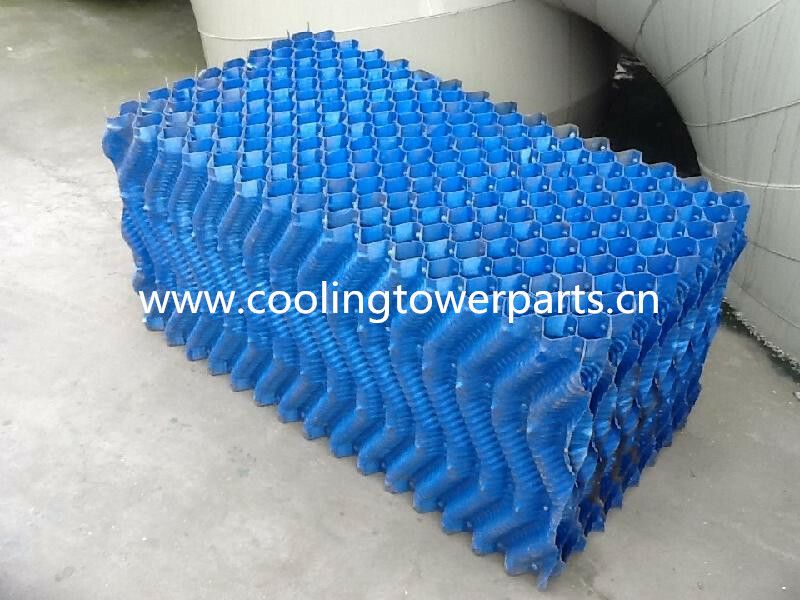 Find Cooling Tower Fill, Cross Tower Infill, Cooling Tower Film on Industry Directory, Reliable Manufacturer/Supplier/Factory from China. Product Description Cooling Method: Counter Flow Material: PVC or PP or UPVC Air Contact Way: Open Noise Level: Low Certification: CTI Thickness: 0.3 mm Usage: Counter Flow Cooling Tower Media Color: Black, Blue, Green, Gray, White Trademark: NEWIN Specification: CE, GB HS Code: 84195000 Ventilation Mode: Natural Ventilation Air Contact Form: Wet Tower Shape: Square Application Fields: Industrial Condition: New Temperature: -20 Deg C to 50/65/95 Degc Dimension: Customized Brand: Newin Transport Package: Wood Packing, 20gp, 40gp Container Loading Origin: Shenzhen China The efficiency of a cooling tower depends upon its fill, the fill is made of rigid PVC or PP film of flame retardant quality with high heat exchange efficiency. The high efficiency fill reduces the motor input HP and assures uniform distribution of water, with minimum resistance to air flow. 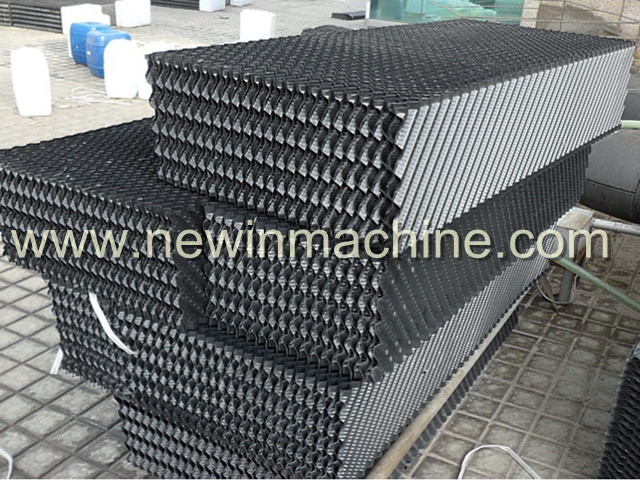 Below roll fillings is applied to Newin brand counter flow round type & square type cooling towers, block/sheet fillings is applied to cross flow square type cooling towers. Contact us if you need more details on Cooling Tower Fill. We are ready to answer your questions on packaging, logistics, certification or any other aspects about Counter Flow Fill、Cooling Tower PVC Fill. If these products fail to match your need, please contact us and we would like to provide relevant information.